Read this article on the NMSU website here. 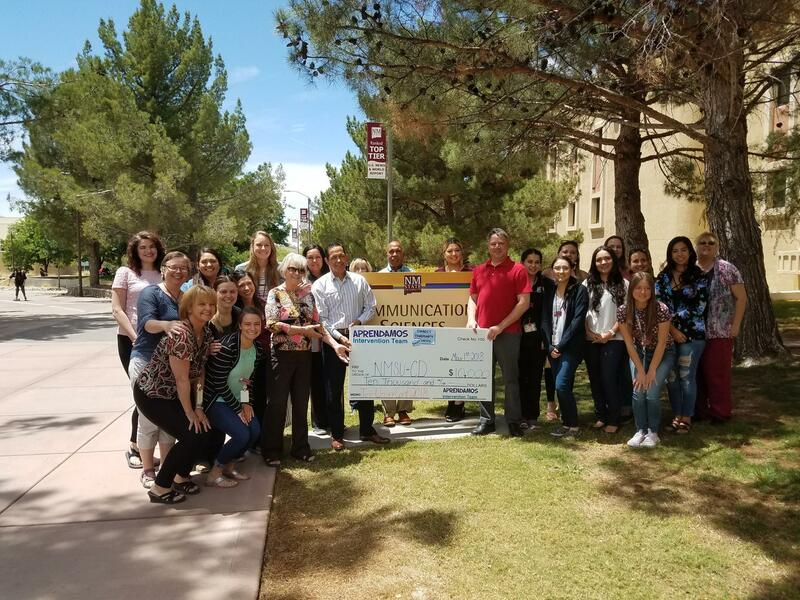 New Mexico State University College of Education’s Communication Disorders Program received a contribution of $10,000 from the Aprendamos Intervention Team and Direct Therapies Center. A check presentation was held May 1 outside of the Communication Science building. 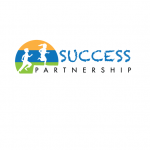 This is the latest contribution the Communication Disorders program has received from the organizations and plans have already been made about where the money will be used to continue to improve the program. Genevieve Muñoz, coordinator of Clinical Education at NMSU, said it is an honor to be working with community partners as their investments will help students to be better prepared when they head out into the real world through improved clinical training opportunities. “The programs we will purchase with this generous support will help our students become more acclimated in electronic medical records so that when they practice in the community they are familiar with best practices in patient documentation and ultimately improve patient outcomes,” said Muñoz. 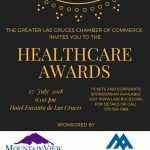 Abel Covarrubias, Chief Executive Officer of the Aprendamos Intervention Team, said his organization and Direct Therapies Center came together to start a special fund to allocate dollars to give back to the department they share a close connection with. “It’s a great partnership that we have developed with the Communication Disorders Department in the College of Education and we look forward to many years of success and supporting our future speech language pathologists,” said Covarrubias.